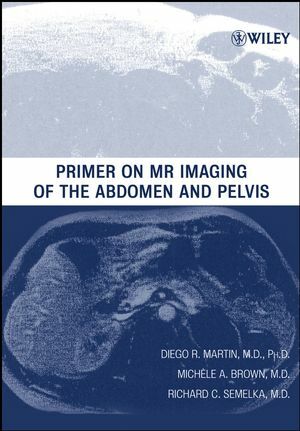 This primer provides a concise, methodological approach to abdominal MR imaging techniques. It offers the user an invaluable pictorial and textual guide to typical features of the most commonly seen entities encountered by the clinician. The authors place an emphasis on a pattern recognition approach, thereby focusing on clinical-pathologic correlation (i.e., the morphological characteristics and pathologic criteria necessary to diagnose disease), as opposed to disease epidemiology. Diego R. Martin, M.D., Ph.D., is Professor of Radiology and Director of MR Imaging at Emory University. Michéle A. Brown, M.D., is Assistant Professor of Radiology at the University of California, San Diego. Richard C. Semelka, M.D., is Vice Chair for Research and Professor of Radiology, and Director of MRI Services at the University of North Carolina at Chapel Hill. 3. Gallbladder and Bile Ducks.